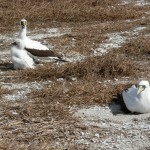 Wilkes Island, the southwest arm of Wake atoll, bears a wartime scar that may never heal. Halfway along the lagoon side the shore juts sharply inward, nearly bisecting Wilkes. 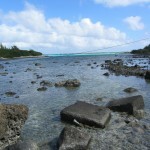 Only a narrow strip of land remains, cluttered with concrete blocks and nearly submerged at high tide, to connect to the western end. The indentation may appear natural to the casual observer but folks familiar with Wake and its history know that it is “man-made.” The altered coastline is visible on every map and aerial photograph of Wake – even the one from the International Space Station – from the fall of 1941 to the present. The scar on Wilkes is the story of unfinished business that sealed Wake’s wartime fate. 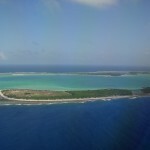 Even before officially embarking on the Wake Island project in 1940, the U. S. Navy knew that a channel into the lagoon was an essential component for the future naval air station. A squadron of PBY patrol planes (flying boats) would require dredged runways, facilities, and access for a seaplane tender into the protective water of the lagoon. Neither of the natural channels separating Wake proper from Peale and Wilkes was suitable for ship access. Early plans called for dredging the ship channel across the broad, shallow, western mouth of the lagoon, but Wake’s fiercely resistant coral promised a long and difficult battle there. After many delays and changes, the navy approved the contractors’ plan to cut a shorter channel directly through Wilkes where the reef came closest to shore. Work finally commenced on the vital ship channel in late September 1941 as the contractors began digging from the lagoon side, working around the clock. * The ship channel was to be 350 feet wide and 30 feet deep: it was still a work in progress when war came to Wake on December 8, 1941, abruptly halting the project. Over the coming days Pearl Harbor repeatedly urged resumption of work on the channel, but it was impossible under the destructive and desperate conditions of the siege. But what about Charles Wilkes? While researching Wake Island’s early history for Building for War, I skimmed over the oft-repeated details of naming origins to build the larger historical context and get to the heart of the story. 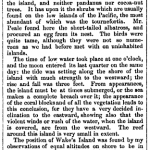 During an early twentieth century scientific expedition, I wrote, “the two islets appended to Wake’s arms were named for American naval officer Charles Wilkes and naturalist Titian Peale, who had explored the atoll on a voyage in 1840.” (Building for War: “A Mere Dot,” 21) That’s it. 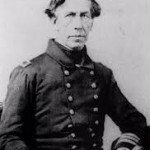 This American naval officer had in fact led an enormously significant, globe-circling expedition. Antarctica’s northern coast due south of Western Australia is named Wilkes Land, likely named for himself, by himself. Wilkes apparently had an avocation for naming geographical places during his expedition, a common passion of men of his era. Exploring Puget Sound, he named many bays, islands, and landmarks for crewmembers, officers, British trading agents, birds, etc. 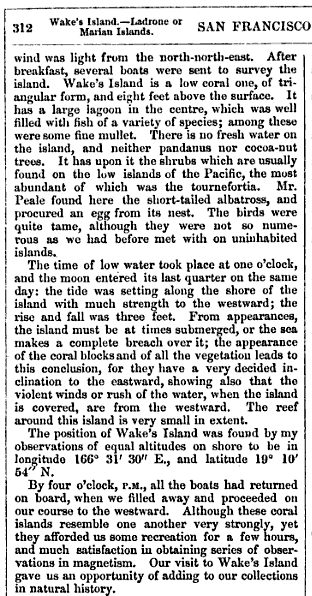 Wilkes Island, lowly appendage on a remote mid-Pacific coral atoll, however, did not excite this passion. 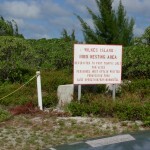 It took some hunting to find out if and when Charles Wilkes actually explored Wake Island on the expedition. I found it in his own “Narrative of the United States’ Exploring Expedition,” dated 1945. It was little more than a drive-by in 1842, but the name of Charles “Ahab” Wilkes is fixed to this little scarred spit of land, now home only to birds whose shrieks fill the evening sky as the sun sets and the unfinished ship channel goes dark. *Many residents and visitors to Wake Island call the Wilkes cut the “sub channel.” The navy did initiate plans for a submarine base at Wake in the fall of 1941, but had not even decided where it should be located in the lagoon: those plans never made it off the drawing board.